The new web series Luchador stars Vancouver actors Roberto Lanzas and Annabel Maclean. 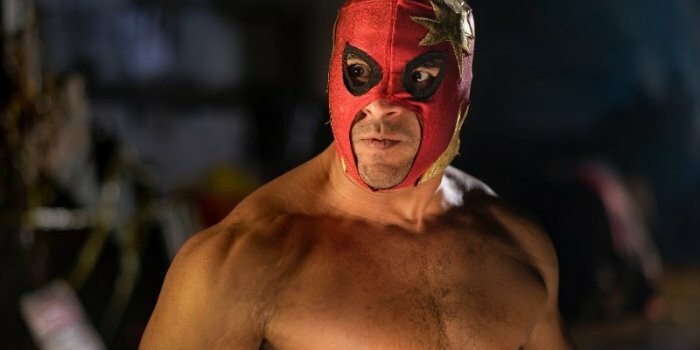 The pilot episode of the new web series Luchador launched this week thanks in part to Vancouver-based filmmaking team, Amelia Morris and Matt Popp. Following a move to Vancouver to pursue a film career in 2016, the writer and creator of Luchador, Nathan McCowan, tragically passed away in January of this year. Having been awarded a $10,000.00 grant from the Telus Storyhive film fund, Morris and Popp wanted to ensure their friend’s work was completed. Luchador is the story of Santo, a Canadian-Mexican chef who learns he has inherited more than just an old luchador mask, when he transforms into a powerful crime-fighting vigilante wrestler. “The amount of hard work, dedication and love that the cast and crew of Luchador poured into the pilot was truly incredible. We’re so excited to finally share it with everybody…,” says Morris. For more more information and to view the pilot episode visit http://luchadorseries.com. Santos learns he has inherited more than just an heirloom mask in Luchador.